Kantar Worldpanel’s Brand Footprint Ranking reveals the strength of brands in 44 countries around the world, across the Food, Beverage, Health and Beauty and Home Care sectors. The report outlines the winning strategies that the most successful global FMCG brands are employing as well as the key global consumer and industry trends. Global brands outperform their local counterparts in Health & Beauty market – almost all Top 10 brands in this sector are foreign brands with brilliant local execution. One more time, P/S remains the number one Health & Beauty brand in both Urban 4 cities and Rural Vietnam – it reached the largest consumer base and highest consumer loyalty among oral care brands. The brand spends millions of dollars annually on marketing from traditional channels (TVC, in-store…) to many campaigns for Vietnamese families (Protect Vietnamese Smile, Scholarship for Kids, Oral Health Day…) that help retain the number of shoppers choosing the brand. Sunsilk – the only Health & Beauty brand among the top risers were chosen over 50 million times by Rural shoppers in the past year, growing its CRPs by 21%. Among the Top 10 Health & Beauty brands, Sunsilk is the one to recruit the greatest number of additional new shoppers in Rural. Jumping up 3 positions, Close-up made its first entry into the Top 10 most chosen Health & Beauty brands in Urban 4 cities, in which it is leading the CRP growth with a healthy rate of nearly 6%. 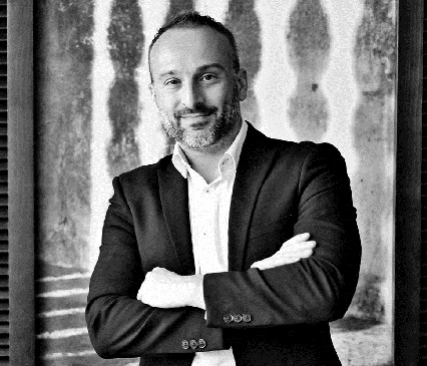 Close-up’s brand owner invested in advertising through several campaigns for young Vietnamese community (movie tickets, Close-up FA Escape Event…), helping move people towards the brand. Top 3 most chosen Home Care brands in both Urban 4 cities and Rural are owned by Unilever, including Sunlight, Omo and Comfort. Sunlight continues to be the most chosen Home Care brand in Urban 4 cities for the 2nd year while Omo holds the top brand in the Rural ranking during 3 years running. Global brands are challenged by their Vietnamese counterparts in Home Care sector in Rural as six home-grown favourites make up Top 10. Three out of six local brands in the Rural ranking are improving their positions with double digit growth reported by Thanh Ha, Net and especially, Aba. Ariel made an impressive performance, rising into the Urban 4 cities Top 10 most chosen Home Care brands for the first time. This brand earned its place in Top 10 by increasing 15% in terms of CRPs and climbing 4 ranks. Food brands have extremely high CRPs with a big gap in comparison to top brands in other sectors as they are in a frequently purchased category or consumed by the majority. Local consumers still prefer Vietnamese Food brands as only two foreign brands are among the Top 10 in the Food ranking. Vinamilk and Nam Ngu remain the leading Food brands in Urban 4 cities and Rural market respectively. Both are the only brands purchased by more than 80% of households. Among top recruiters adding most shoppers in 2015, 3 Mien earned its 3rd place in the Rural ranking, climbing 4 positions, thanks to attracting 1.2 million new Rural shoppers. Chinsu is new to the Top 10 both in Urban 4 cities and Rural. In term of CRPs, this brand grew by 12% and 36% in Urban 4 cities and Rural respectively, mainly driven by its fish and chili sauce products. By adding one more brand – Chinsu in the Rural ranking, Masan now owns 4 out of 10 top Food brands including Nam Ngu, Kokomi, Tam Thai Tu and Chinsu. Growing by 12% in CRPs, Coca-Cola has been ranked number 2 in the Urban ranking. Meanwhile, nearly half a million new shoppers chose Coca-cola in Rural, moving its ranking to the Top 10 most chosen Beverage brands for the first time. Two brands owned by Nestle – Milo and Nescafe are noticeable brands in the Urban 4 cities and Rural Top 10 respectively. Milo is leading the CRP growth among the Urban 4 cities Top 10, growing by 23% last year and gaining 4 spots in the ranking. In Rural, Nescafe achieved double digit growth in CRPs and its ranking rose from number 5 to number 3 in the Top 10. Fami – The leader in soya milk joined the Urban 4 cities Top 10 club, jumping up 4 positions. Fami firstly won Rural shoppers as the 2nd most chosen Beverage brand, enjoying a rapid growth of 33% in CRPs. Simultanously, this Vinasoy-own brand expanded its market penetration to Urban 4 cities by adding over 70 thousand incremental shoppers and increased by 19% in CRPs. Kantar Worldpanel’s Brand Footprint study is based on research from 74 per cent of the global population; a total of one billion households across 44 countries, five continents and 76 per cent of the global GDP. The complete ranking analyses 15,000 brands and 300 billion shopping decisions. Kantar Worldpanel tracks 200 FMCG categories around the world across the beverages, food, health and beauty, home care, alcoholic drinks, confectionery and nappies sectors. 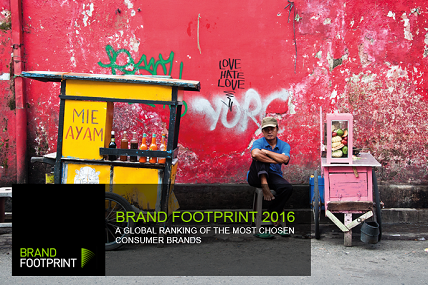 The Brand Footprint publication is a Kantar Worldpanel initiative, and the ranking is created in collaboration with IMRB in Bangladesh and Sri Lanka, with GFK in Germany, Russia, Italy, South Africa and Turkey and with IRI in the US. Brand Footprint is set apart from other brand rankings by providing information on real consumer behaviour rather than attitude. Consumer Reach Points (CRPs) form the basis of the ranking. An innovative metric that measures how many households around the world are buying a brand (penetration) and how often (frequency), it provides a true representation of shopper choice. The data for this year’s rankings was collected over the 52 week period between October 2014 and October 2015. All data relates to purchases that are brought into the home. *Follow links on the right side of this page to download the full report and press releases in both English and Vietnamese.